Toy bicycle plate often mistaken for an authentic bicycle or motorcycle plate. All have this same number. Issued by private "militia" type group which does not recognize the state government. 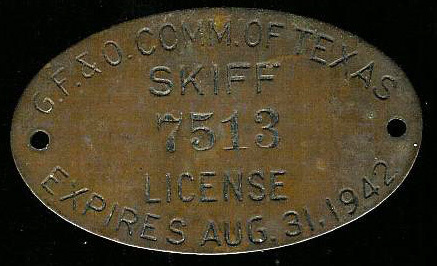 Issued to official vehicles of the Indian Tribe (near El Paso).